The First Step to Discovering God’s Healing Power. Is there more to this life with God than a good church service & studying the Bible? Is there more to my experience of the Kingdom of God on earth than staying stuck where I’m at? The good news is that there is more, and His name is Holy Spirit. I met him in a transformative way as a young man, and now He has graced me – a truly broken vessel – to be a catalyst in imparting gifts of the Spirit into Christ-followers worldwide — specifically the gift of healing. When a person is faced with injury or illness, all else can fade to the periphery of their life. Our health, good or bad, impacts every aspect of living. Have you wondered why there is such proliferation of alternative healing methods today? People are desperate for healing, and when they can’t find it in traditional allopathic medicine or the Church they turn to other methods that can be ungodly. The phenomenal growth of New Age practices such as Reiki, Therapeutic Touch (TT), and Healing Touch in America is a sign of the interest in non-traditional means of healing. The New Age movement’s interest in healing is contributing to its fast growth. How is the Church to respond to this? We begin by restoring the ministry of healing to the Church today in the power of the Holy Spirit, so that divine healing can be available to work in conjunction with traditional medicine. Unfortunately, however, the church in America has allowed religious traditions to cause the commands of God to be ignored. As a religious culture, we have settled for too little when it comes to our biblical inheritance in Christ. The miraculous should be a lifestyle for everyone who follows Christ, yet when you consider the present state of Christianity, it is easy to question this statement. To discover how to sustain a supernatural lifestyle, where God’s healing power flows in a normative manner, we need to go back into the Scriptures where we will find a clear blueprint for God’s original will and intent. He always intended our spiritual inheritance in Christ to be where healing, deliverance, and the demonstration of God’s power are inextricably linked to the gospel of the Kingdom of God. As a first step for discovering Gods healing power in your life consider meditating on this scripture once a day for the next 7 days. "As you go, preach, saying 'The kingdom of heaven is at hand.' Heal the sick, cleanse the lepers, raise the dead, cast out demons. Freely you have received, freely give" (NKJV). God intends for the Church to fully operate as the empowered body of Jesus Christ in the earth. In order for this to be accomplished, believers must be activated in the gifts and anointing of the Holy Spirit. Healing and deliverance are part of the primary acts of service that Jesus rendered. Jesus' preaching taught freedom from spiritual death, damnation, disease, demonization, and despair. He offered healing, hope, holiness, freedom from demonic oppression, and heaven. The primary basis for divine healing is threefold and consists of the covenant, the cross, and the Kingdom of God. So let's engage with the Holy Spirit this week so that we can live in the power of the covenant, the cross, and the Kingdom! PS) Meditating on this verse may be the first step to understanding Gods healing power. If you are intrigued and want to understand more about this supernatural healing lifestyle, I've written a book about it. It's called "Authority to Heal", feel free to learn more here. 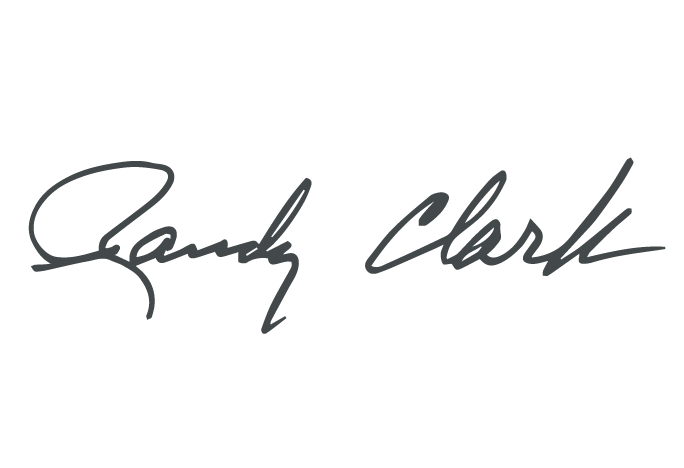 Randy is the founder and President of Global Awakening and author of books on healing, impartation, and revival history. He spends his time writing, traveling, speaking at events, and hanging out with his children and grandkids. We were in Redding a couple of years back and Tonya received a miracle, God straightened her foot, you used her testimony on YouTube. We love what you are doing. Thank you for witnessing to the Holy Spirit power Randy: many imitate it, but few know what it is because they are disobedient to God's commands. As they reach little results in their respective ministries, their harts become hardened and they put together their own schemes to make the world believe it is the Holy Spirit acting. This is Nicole K., whom you met in 2016 in His grace during one of your packed conferences. Praise God. My website is back up after years of "pregnant meditation" with God: www.providenceproductsamerica.com. Blessings. I want more! I am very expecting this June! I was prophesied over that halfway through the summer intensive I will know what to do next. I am wanting to be used by the Lord in anyway He desires! Very cool, Bill. It sounds like you’ve signed up for Global Summer Intensive, and you’re right, it’s going to be amazing. You’ll be blown away by how God shows up in and through you during the school. We look forward to seeing you here in PA! A friend and i had a conversation about this verse this week. She has a friend in Redding who won't go to Bethel because they believe in raising the dead. I told her i do too and recited this verse. I know there will be further conversation on this in the future and need more verses to show that it wasn't just the apostles that were told to do this. If you hit play on the video on that page, it will start playing through a playlist of testimonies to increase your faith for healing. Thanks for sharing. I've visited the Redding Bethel church...truly life changing! Love this blog... thanks for sending it and your encouragement ? Let’s GO army of Yeshua! Amen. God has used Global's CHCP to transform and equip me to bring "the more" to others. Excited for Kingdom break-in! The waves are at "breaker" point. Expectant! Dr. Clark you have blessed me so very much. "Thank You, Lord, for Randy!!" Thank you Randy! You are a gift to the Church!! Stay blessed my friend!! From your Lutheran Brother! Randy, your ministry and focus on the Lord as our source for healing has been a beautiful blessing to me and many others. Thank you! Jesus is always our healer, but is it possible that understanding how He designed the physical body and brain might give us as Christians another tool in our tool belt? Three years ago during a heartbreaking season and our family, I cried out to God asking “Lord, what do we do with the pain?” I was praying, declaring scripture, trusting as best I could, but the emotional pain was excruciating. He led me to EFT for Christians (Emotional Freedom Technique) and a wonderful Spirit-filled practitioner. She showed me how God designed our bodies to have release points of the emotions we carry. As I gently tapped on these places while acknowledging what I was feeling and the event around it, my body began to release the painful emotions and I was then able to feel calmer and hear from the Lord what was true. It’s a way of processing trauma without being retraumatized. God designed the brain to block what we cannot handle and tapping signals the amagdyla that it’s safe to release emotions and information. There’s nothing New Age or Woo Woo about it… It’s purely physiological. Yet when Holy Spirit is directing it, it’s beautiful to watch the freedom He brings. After many years of inner healing ministry I saw this as my missing tool. God clearly led me to an excellent training program and I am now a Certified EFT Practitioner. I, like everyone else, want the suddenlies. But for some, healing is a process. Christian EFT is a Kingdom way of releasing the emotional stress we carry in our bodies, allowing the body to focus that energy towards healing. Just as we can have blockages in our physical hearts, we can have emotions and beliefs that create blockages in our spiritual heart. EFT or tapping allows for a gentle release of those things that hinder us from our destiny. It’s all His design. I’m so grateful for your impact on me and so many around the world, Randy. In conjunction with meditating on this scripture, I plan to declare it verbally. I learned from Derek Prince that there is additional power released when we speak the word of God audibly. Good idea! The power of life and death is in the tongue! Thank you for your Blog! Sometimes as a next step would it be for a person to read a set of scriptures from Acts and then have hands laid on them by Spirit filled elders to receive the baptism of the Holy Spirit with the gifts He gives as He wills. And then for us as the Body of Christ praying and believing for a awakening seeking to do monthly or semi monthly evangelistic outreaches with some John 17 unity. Maybe have Dutch Sheets and Chuck Pierce pray on this. I just wish people could walk with Jesus and have love, joy, peace and a caring home group. God Bless Randy I know you’re doing your best! Glad you mentioned an upcoming resource for those of us "still waiting" for our breakthrough. It gets difficult to understand why many of us are believing and waiting for our healings to manifest, when Scripture states over and over that Jesus healed all that were brought to Him. While crying out to God in tears 20 years ago for healing, I heard the audible voice say, "You are healed!" I rejoiced and slept like a baby. I continue to believe Him and claim/receive His Word and healing touch, but still waiting for manifestation . . .
As Jesus said; "never give up, never surrender!" Of course that's a funny way of saying it but it's never the less true; pray always, never giving up. Jesus has given us many works to that effect. DON'T EVER GIVE UP ASKING, SEEKING, BELIEVING! Amen, amen,amen! I am leading the Power to Heal curriculum at our Reformed church. Tonight is our final class. I plan to do activation and impartation with the group. Would you all be praying for a precious anointing to fall on the class? There has been much grace surrounding this class. I want them to go out empowered and confident that they can partner with God in healing the sick. Thank you for that encouragement, Randy. I will be meditating on Mt. 10:7-8. My adult son, RC, suffers from physical, mental, and emotional pain. He also needs deliverance from demonic presences in his life. Please pray. He used to follow Jesus, but has laid aside his Bible and opened doors to oppression. I know the Lord can heal his body and free his mind, if only RC would yield his spirit. I am really the only person closely connected to him. Amen. Agreed. Have read your books and listened to hours of your messages which are excellent, edifying, biblically sound and inspiring. Pls pray with me for quantum leap breakthru encounters with HS as we continue on 14 yrs of seeking to bring the kgm thru manufacturing business in the world's most populous country. Give me more HS; take all of me. Let the RIVERS of living water flow from my inmost being and bring healing, words of knowledge, deliverance, miracles, signs and wonders, prophesy to the people all around me here. In Ch I na as it is in heaven! Yes and amen to those prayers, Scott! We bless all that God is doing in your life, in Jesus’ name. Thanks Randy, it was good to wake up to this today. My wife has been in ill health for many years, I have almost given up believing she can be healed, your email has encouraged me to keep believing and to continue seek God for the power to heal. Bless you, Barry! We agree with you for your wife’s healing. Come, Lord and heal, we ask in Jesus’ name. Amen! I totally agree but have still struggled to SEE the results. The Lord spoke to my heart that if I took a step closer to Him all would change! In His Presence...!! May we all draw closer and experience Him as we should! We get that, Mary. We all have times of valleys, and often we speak of healing from valleys of pain. It’s in that place of pain that we discover how close and good Jesus really is. May you find fresh peace and joy in the Holy Spirit today as you continue to look upward to Jesus for breakthrough.